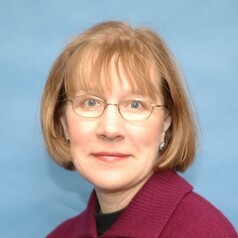 Elizabeth Loder received an undergraduate biology degree from Harvard College, studied Medicine at the University of North Dakota and received a Master’s degree in public health from the University of Massachusetts. She has worked as a clinician and researcher in headache field since completing a fellowship in headache medicine in 1990. She currently divides her time between her position as a clinical editor at the BMJ and duties as the chief of the Division of Headache and Pain in the Department of Neurology at the Brigham and Women’s/Faulkner Hospitals in Boston. She is an associate professor of neurology at Harvard Medical School.